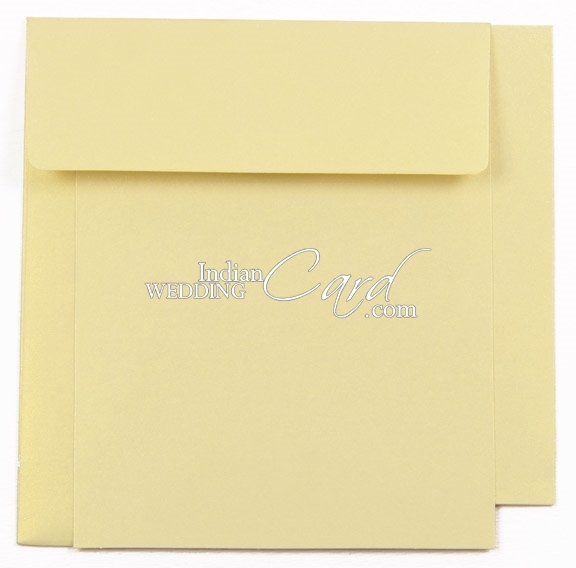 Paper: Creamish Gold color shimmery paper for card & 2 inserts (each 250gsm) and envelope (120gsm) with matching translucent wooly paper for pocket. Wow thank you soooooo much, I love you guys!!!!!!!!!!! We received the scrolls early this week and they look wonderful, just the way we wanted it.Your service has been excellent, hassle free and the kind we would recommend to people. 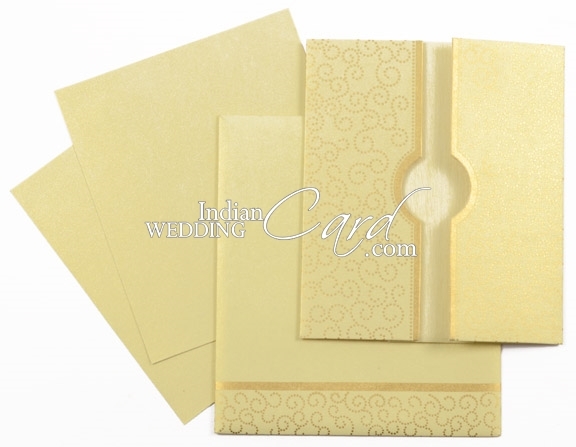 Hello indian wedding card! We received the parcel with our invitations they are very pretty! Thanks again for everything! I appreciate your service and replies. 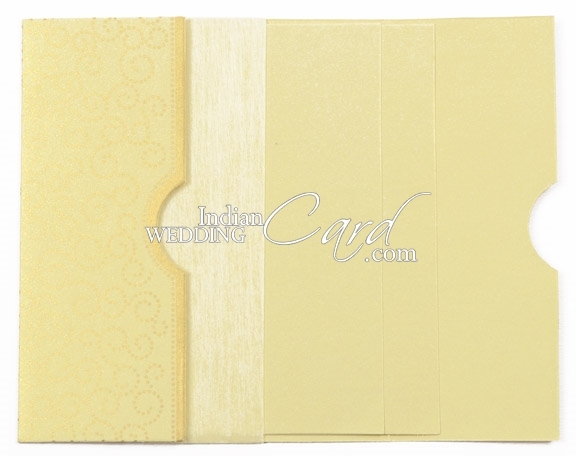 I wanted to also thank you for the last invitations I ordered. They were fantastic and everybody loved them. Plus the service was fast and efficient. I will definitely recommend your company to my family and friends.